Pilates Teacher-Training Experience. Your journey starts NOW. Space is Limited for this Workshop. Register Early to ensure you’ve got a spot! The Centerworks® Foundations 101 Workshop is designed for students considering a career as a Pilates teacher. This course will introduce you to the Pilates teacher training process, lay the groundwork for your new knowledge and expertise and familiarize you with the foundational principles and fundamental concepts needed to support healthy movement habits. The focus of this information-packed, 3-day workshop will be improving your awareness for posture, breathing and body alignment by exploring pre-Pilates exercises that you will utilize as a Pilates teacher to introduce new concepts and exercises to your beginner Pilates students. 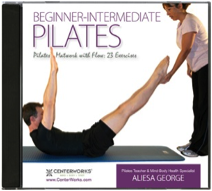 Aliesa George, PMA-CPT, is ready to help YOU take your Pilates education to the next level! Founder of Centerworks®, and Mentor for the Centerworks Pilates Teacher Education Program, Aliesa has dedicated her life to helping training clients and professionals to optimize whole-body health through Pilates, foot fitness, and healthy functional movement habits. During the past 18 years, she has trained thousands of clients between the ages of 9 to 90+! Runners, triathletes, high school football stars, professional baseball players, skaters, golfers, cyclists, dancers and healthy everyday people. And more importantly, clients dealing with injuries, accidents and other debilitating health issues who have the passionate desire to improve their health, alleviate pain (back, hip, knee, shoulder or neck), improve their foot-fitness, stabilize scoliosis, feel better, look better and improve the overall quality of their life. Regardless of the health challenge, or health improvement goal, Pilates training can be a valuable asset to optimize whole-body health. 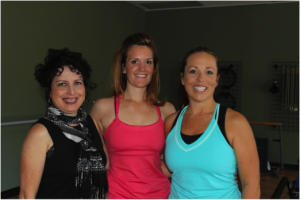 A knowledgeable, well-qualified Pilates teacher is the catalyst to get results! Become a GREAT Pilates teacher with a GREAT education, starting with Foundations 101. Through the Centerworks Pilates Teacher Education Program, and Awesome Workshosp™, Aliesa has had the privilege to mentor Pilates teachers who are currently teaching across the US and around the globe. Like you, these Centerworks trained Pilates experts transitioned from a job they were not in love with, to a fulfilling part-time or full-time career helping others by committing to make the investment in themselves and their education to become well-qualified, confident and successful Pilates teachers. Start your journey to Becoming a GREAT Pilates Teacher! Included in your course fees is a Foundations 101 workbook filled with resources, tips, and exercises to help reinforce and review all the pre-Pilates exercises and information you will explore and experience at this Centerworks® Awesome Workshop event. 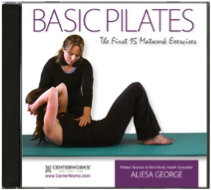 Also included are TWO 45-minute Basic Matwork Classes with Aliesa during the workshop, a Basic Pilates Audio Workout CD, and Beginner-Intermediate Audio Workout CD – to help you learn to listen for cues, and continue getting YOUR Pilates body in shape for teacher-training intensives! Plus there will be plenty of time before the 3-day workshop ends for Q & A time for specific questions about the what it takes to become a Pilates teacher, exercises you need to know before you start learning to teach, and more about the Centerworks® program to help you determine if it’s a good fit for you, and you are ready to invest in your career to become a Pilates teacher. Make wise decisions for your Pilates Teacher-Training career and be sure you’re in the best program possible for your education! Regardless of the ultimate decision on whom you choose for your Pilates Teacher-Training mentor, the skills, exercises, and functional body knowledge that you’ll gain at the Foundations 101 workshop is a priceless investment in deepening your understanding of healthy movement habits to become a GREAT Pilates Teacher. The valuable exercises, tips and techniques that will be taught during the Foundations 101 Workshop will ultimately give you a fresh perspective on the value of mind-body exercise, an appreciation of the expertise of a well-trained Pilates professional and, most importantly, help ensure that YOU are prepared and ready to begin YOUR Pilates Teacher-Training experience. Foundations 101 is a pre-requisite for participation in the Centerworks® Pilates Teacher-Training Program. Space is Limited and your payment saves your spot! Don’t delay, Register TODAY!